Stop by the Asian Art Museum’s Village Artist Corner (outside at the corner of Larkin & Fulton) every second Wednesday of the month to engage in Yarn Wrapping. This free family-friendly event is led by local artist Barakah Aly. 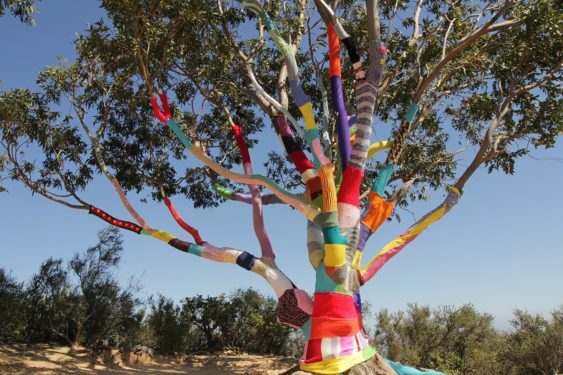 This ongoing activity invites the public to learn and practice yarn wrapping techniques around one of the VAC trees. To keep you fueled, pour-over Ethiopian coffee will be available for purchase from SF Coffee Cruiser, a locally youth-owned family business.